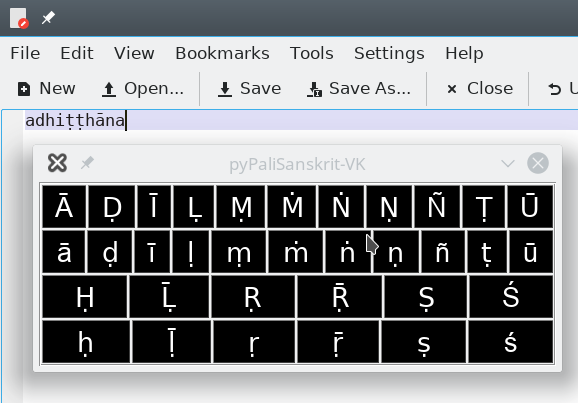 Bhikkhu Pesala wrote: Windows users who are into Buddhism can install a keyboard for typing Pāḷi with diacritical marks. It is so much quicker than cherry picking from a tooblar, though I am sure that that could be done somehow, and would work on most platforms. samseva wrote: There are multiple 'Keyboard Layout' folders on every OS X computer, which can be quite confusing. The one that is needed can be accessed by opening Finder, clicking 'Go' in the menu bar, 'Computer', 'Macintosh HD' (or whatever your hard drive is called), 'Library' and then 'Keyboard Layout'. Also follow the missing instructions on the VRI website. samseva wrote: Finally, the best way on OS X (but slightly more complex) is to modify the press-and-hold feature. 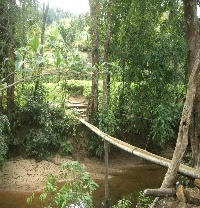 It's a bit more complicated, but very much worth it. Follow the instructions from the following link (second answer starting with "In addition to simply..."). If anyone has some difficulties trying to modify this, send me a PM. samseva wrote: A simple text file to copy-and-paste can also be a method. where Velthuis system is used, with the exception of upper dot: "ṅ" - ";n"
Last edited by Assaji on Wed Oct 05, 2016 7:27 am, edited 1 time in total. For Linux systems one can also simply make use of the compose key. Here are the instructions for setting this up on the Gnome desktop. Other desktops have the same functionality, but slighty different ways of activating it. This method is not Pali specific, and is useful in any case where you need to add macrons and accents. It's freeware and supports most Indic scripts, including IAST (i.e. 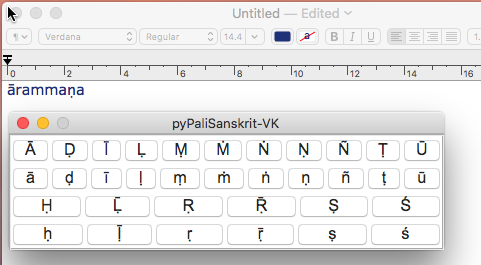 the default method of Sanskrit & Pāli romanization). It runs on Windows, Mac and Linux.